Bonhams is delighted to unveil an outstanding line-up of Sports, Competition and Touring cars for its 19th annual Goodwood Festival of Speed Sale, on 1 July 2011. Leading the pack is a very rare and handsome 1954 Aston Martin DB2/4 Cabriolet previously owned by that legendary British Grand racing character, Innes Ireland. 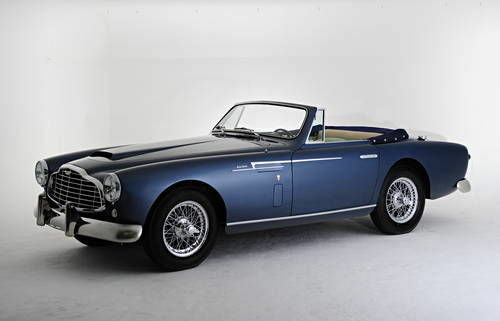 Recently restored to concours condition, this DB2/4 has a pre-sale estimate of £500,000 – 700,000. 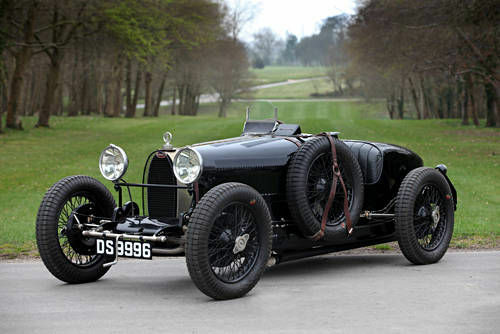 Another major Lot is a well-known, competition-winning 1925 Bugatti Type 35B Grand Prix two-seater, formerly owned by past Bugatti Owners' Club director and editor of Bugantics magazine, Mr Jack Perkins. 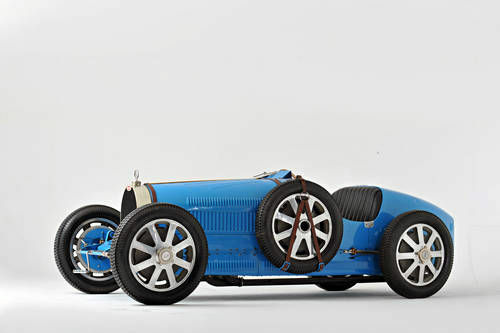 The Jack Perkins,1925 Bugatti Type 35B Grand Prix Two-Seater Chassis no. BC31 Engine no. 70. Estimate: £400,000 - 500,000. Expected to fetch £400,000 – 500,000, it is accompanied by another beautiful Bugatti, a 1926 Type 37 Monoposto, estimated at £120,000 – 160,000. 1926 Bugatti Type 37 Monoposto Chassis no. BC 78 Engine no. 79. Estimate: £120,000 - 160,000. Other highlights include a 1967 Lamborghini 400GT 2+2 once owned by Sir Paul McCartney, expected to realise £100,000 – 120,000; two cars from the Patrick Collection – the 1986 Lancia Delta S4 Stradale and 1990 Alfa Romeo SZ Coupe – which have attracted pre-sale estimates of £80,000 – 100,000 and £20,000 – 25,000 respectively; and a 1928 Bentley 3-Litre Speed Model (estimate £120,000 – 140,000), owned by the same family since 1945. 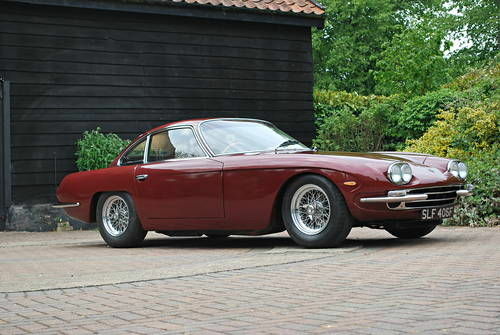 Originally the property of Sir Paul McCartney,1967 Lamborghini 400GT 2+2 Chassis no. 1141 Engine no. 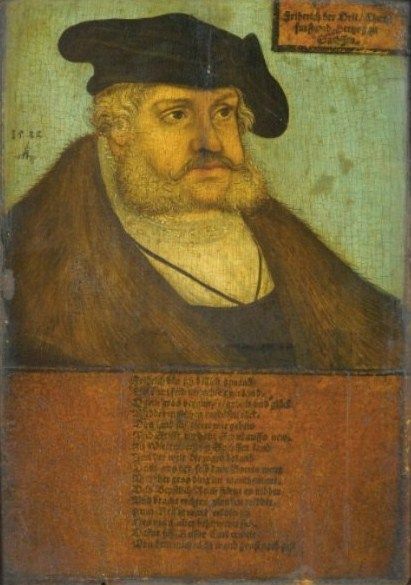 1139. Estimate: £100,000 - 120,000. A modern highlight is the 2004 7.3-Litre Pagani Zonda C12 Roadster, painted in an 'Elvis Presley Cadillac Pink', which has had only one owner from new, and is estimated to fetch £200,000 – 250,000. One owner from new,2004 Pagani Zonda C12 7.3-Litre Roadster Chassis no. ZA9C820C110F76041 Engine no. 12098312032119E100. Estimate: £200,000 - 250,000. For racing aficionados, a BMC Competition Department Transporter, which is described by Bonhams as 'an eye-catching and stylish addition to any historic race meeting', has attracted a pre-sale estimate of £30,000 – 40,000, while boat enthusiasts will covet a 1992 Hacker 28' Runabout, which was commissioned by J Paul Getty as a tender to his 80-metre private yacht, Talitha G, expected to fetch £35,000 – 45,000. In addition, Bonhams will be offering a fantastic 47-strong single owner collection of Heuer watches at this sale, comprising 19 wristwatches, two pocket watches, assorted racing timers and group lots of sports timers, all from the 1960s, 70s and 80s. Classic Heuer chronographs, such as the ever popular Monaco, as well the Autavia, Carrera , Montreal and Calculator, will go under the hammer, as will entry level collectors' pieces including five different versions of the Jacky Ickx Easy Rider model .